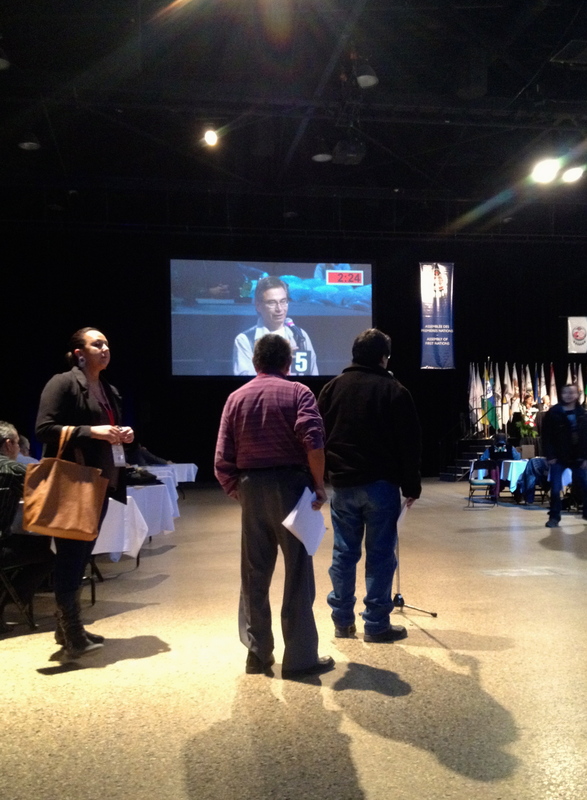 The Special Chiefs Assembly of the Assembly of First Nations took place in Winnipeg, MB, Dec. 9-11, 2014, and MFNERC was there as part of the trade show, and to observe the discussions on education. The three-day event gave opportunity for First Nations leadership to, first of all, convene and vote for a new National Chief. They also met to discuss a variety of fundamental issues and proposed resolutions. Topics included ending violence against Indigenous women, treaty right to housing, resource equity sharing and, of course, First Nations control of First Nations education. Rather than simply list different things that took place during the Assembly, here are two differing quotes on the First Nations education resolution. While the Chiefs were discussing the resolution, the overall feelings seemed to be frustration with the current state of things, coupled with a true desire for change. Most of the Chiefs supported the resolution, some opposed, and in the end it passed.